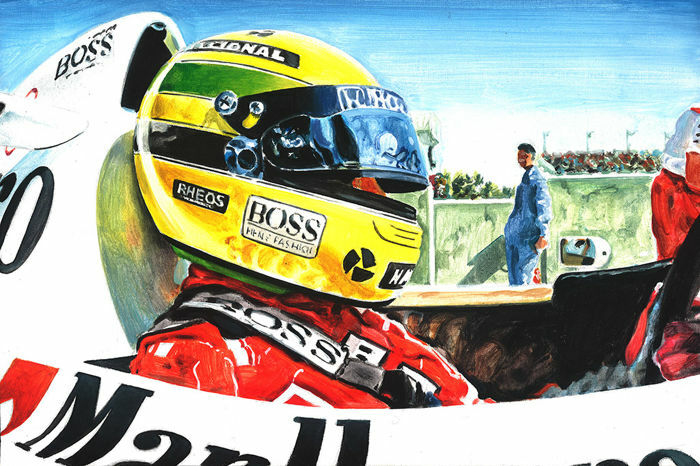 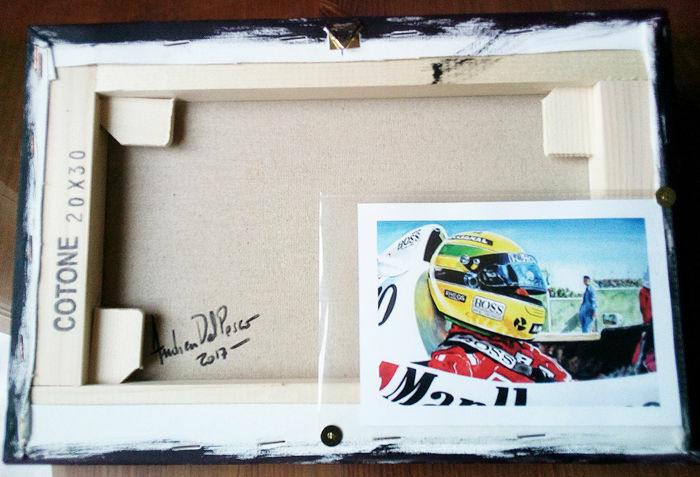 Ayrton Senna McLaren Honda F1 Cockpit ORIGINAL Acrylic Painting on Canvas hand-made by Artist Andrea Del Pesco + COA. 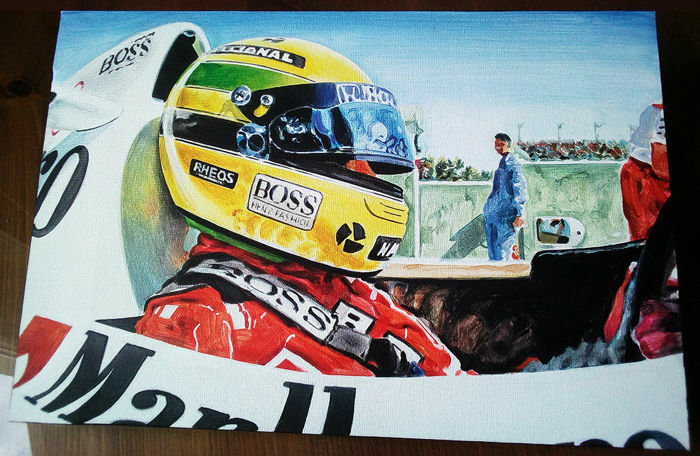 Original Acrylic Painting on canvas made by Italy's Artist Andrea Del Pesco. Vous pouvez également retirer ce lot chez le vendeur: MILANO (Milano), Italie.